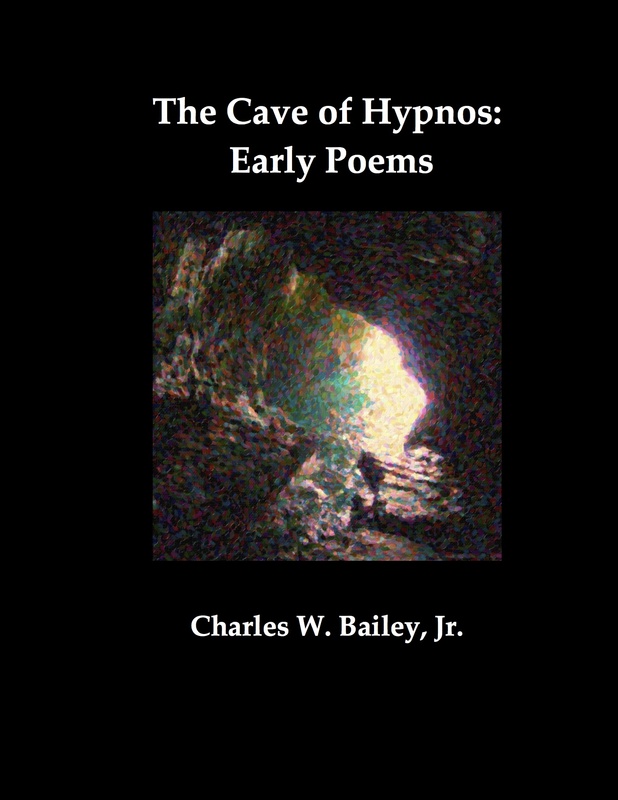 For this week’s e-book, we’ve chosen Charles W. Bailey’s short volume of early poems. A librarian by profession, Mr. Bailey is probably best known for his work on Digital Scholarship, where he provides news and commentary on digital copyright, digital curation, digital repositories, open access, scholarly communication, and other digital information issues. Very fashionable, some would say, but he has been working tirelessly in this field since the 1980s–long before there was such a thing as the Creative Commons and well before the Free Software movement was hip. Back in the days of LISTSERVs, his extraordinary Public-Access Computer Systems Forum inspired me and more than a few other people to get involved in the project that would eventually link the Freenet Seattle Community Network and the entire Seattle Public Library system to the brand new World Wide Web. But more than merely being one of the country’s most celebrated pioneers in digital librarianship, Mr. Bailey is also an accomplished artist. He has made numerous lovely pieces of photo-based digital art, many of them still available on his Flickr feed. Which brings us to his poetry. In 1973 Mr. Bailey won a Wallace Stevens award for his poetry: second prize, behind the first prize winner, the renowned Charles Stein. Several of the poems for which he won that award are collected in this volume, The Cave of Hypnos. I’m a big fan of the balance of simplicity and complexity in these poems. They clearly reflect another time in poetry when the influence of Wallace Stevens was still strong yet they are closer to James Wright or H.D. than they are to Stevens: still deeply attached to myth but as a matter of fact rather than an exotic evocation. The poems and the book are short enough that one can easily sample them at leisure. We recommend you do.